Iris Moody is tired of acting as though everything is fine in her world; because in reality, it's just not. Her mom died in a tragic accident and her dad has moved her away from everything familiar. Her father has his own way of dealing with the loss of his wife as he focuses all his time and attention on work, chasing after a big promotion. Her girlfriends at school never seem to have anything real to say, and while they are patient with Iris, they're beginning to grow tired of her aloofness. Iris has her own way of dealing with the anger and frustration she's been bottling up, but it doesn't seem to be resolving her issues. 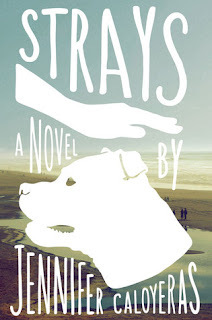 Things come to a head when her English teacher finds her journal and an altercation ensues, resulting in mandatory community service for Iris. Unfortunately for her, she is placed in a dog rehabilitation program, even though she is desperately afraid of dogs. 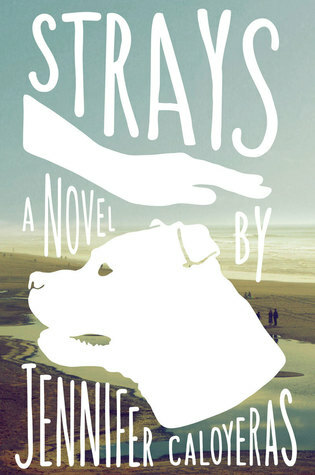 Strays is a coming of age story that is as original as it is revealing with a heroine who is highly relatable. Author Jennifer Caloyeras' depiction of a young girl's struggles to find a way to move beyond her angst is a refreshingly honest tale which will appeal to readers of all ages. Caloyeras' comfortable writing style makes reading this book feel a bit like curling up with a fuzzy blanket. - This book is highly recommended and has earned the Literary Classics Seal of Approval.